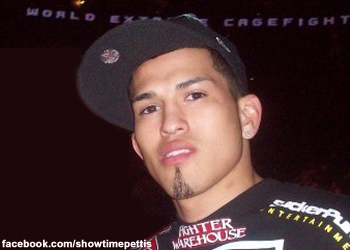 When the lights came on, it was “Showtime” for Anthony Pettis. The dynamic striker used his unpredictability to defeat the favored Shane Roller at WEC 50 on Wednesday. He lived up to the hype with his superior marksmanship, as he threw anything and everything at Roller. Oddly, Pettis ended up winning the fight because of his much improved wrestling and was able to secure a last-second submission with his refined jiu jitsu game. Coming into the bout, Roller was best known for his crazy wrestling skills as a three-time All-American at the vaunted Oklahoma State University wrestling program. With the win, Pettis may have put himself in the pole position to become Benson Henderson’s next challenger for the WEC lightweight title. Since losing in his second appearance under the WEC banner, Pettis has strung together three straight victories and is jonesing for a crack at the 155-pound belt. “My confidence is as high as its ever been. I trained hard for this fight, I got a great camp in Milwaukee,” Pettis said following the most impressive victory in his young career. “I trained hard for this fight and I’m ready for the champ. Where’s he at? It didn’t take long for the champ to respond, as the WEC’s Craig Hummer tracked down Henderson to get his thoughts on the challenge that “Showtime” issued only a few moments prior. “I see you Anthony, I see you making waves man,” Henderson stated of the challenge. “I enjoy being on top, I fully intend on staying here for a long time. I’m excited to defend it again, I’m just excited to dance.